Working with us is like having your own packaging manager at your service. This is something you'll get used to quickly. You will reap the benefits of working with our entire company, providing different skills and people, who work together to achieve savings in your organization. Because we skillfully integrate solutions into the logistics, marketing, and operations of your business, we not only make savings for you, but also make your colleagues happy as well. All this provides the opportunity for colleagues from other departments to benefit from the savings which we achieve for you. Our service is easy to use, meaning you don't waste any of your time. All that we need is as much transparency as possible, since this is an essential ingredient in allowing your company to reap the most benefits from working with us. But of course you can count on us to remain confidential. So team up with Moonen. Choose to work in a partnership which fosters the best in both of us. In three steps, we can identify your packaging needs and provide you with a tailor-made, comprehensive concept. Do you want to know how we do this? Openness is at the basis of our services. Moonen aims to build up a trustworthy relationship from day one by explaining openly and honestly how you could benefit from working with us. To achieve this, we are happy to get to know your business inside out, to pinpoint exactly what you need, and to work closely together with your purchasers and logistics managers. Will you give us your confidence and choose to be open with us? Then we will return the favour with lots of added value, created by us for you. We can show you where potential savings could be made that you didn't know were possible. Once we've identified your requirements, we then begin to develop a strong concept which hones in on the areas in your organization which could benefit most. This concept is so precise and carefully thought out that you won't want it any other way. We have so much faith in what we can offer that we encourage you to inquire with other suppliers about their offer. We're confident that once you've seen what other companies offer, you'll agree that our global scale, our role as chain director, our network of designers, our expertise in green business, and our renewable packaging make us an outstanding partner for you. We're not afraid of being compared, as this makes your decision to choose Moonen all the more informed. You're choosing to receive a comprehensive concept for your packaging needs that is as efficient as possible, including services such as just-in-time deliveries, stock supply to individual branches, and stock storage. Alongside this, we work with you to develop a long term vision for your packaging. For this to work, you may sometimes need to let go of from your purchasing vision and avoid focusing on overheads. We'll show you that being open about business can uncover a whole range of hidden savings potential in many areas of your organization. That's the main advantage of having your own packaging manager. Even if you're happy with things as they are, bear in mind that we regularly assess your comprehensive concept. If things could be made less expensive or more efficient, we'll let you know. We believe in honesty, and that's what you can expect from us. Working with Moonen can considerably reduce your workload. Very few companies in this sector can offer our level of service and expertise. Our secret is our extensive in-house knowledge base, made up of people who see packaging as a way of developing solutions with you. These people are experts who not only make promises, but also deliver on them, because they're used to working that little bit harder to get everything sorted. They're also more than happy to share their knowledge with you if you need it urgently. 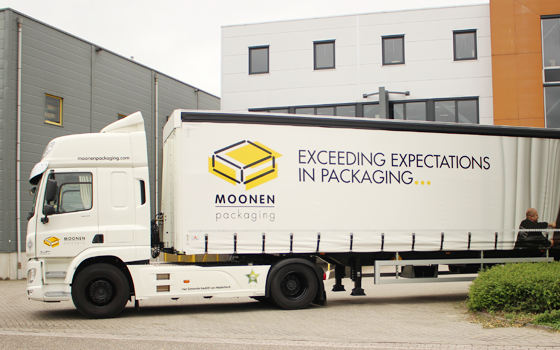 Discover Moonen's specialists in sourcing, logistics, retail, food, industry, IT, sustainable business, and marketing. Contact us with your questions and prepare to be pleasantly surprised by the answer. We're happy to help you. 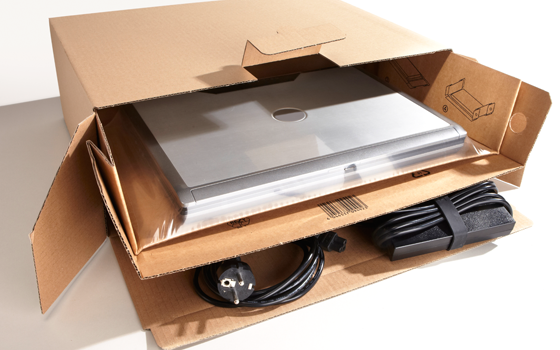 It is a challenge to protect large, heavy products and parts during transport and storage. 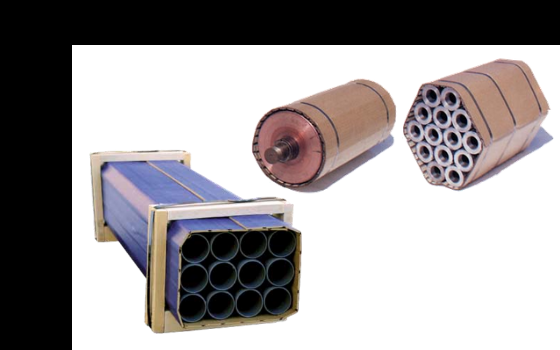 Think of the cable and steel industry, as well as the metal, plastic and electrical industry. We offer an alternative to wooden formwork, frames, cardboard and wooden planks. Moonen Packaging offers Nolco-flex and Nolco-rib as a solution. A flexible protection against pressure, shock, distortion, and weight. The material is easily cut to size on site, which has many advantages. 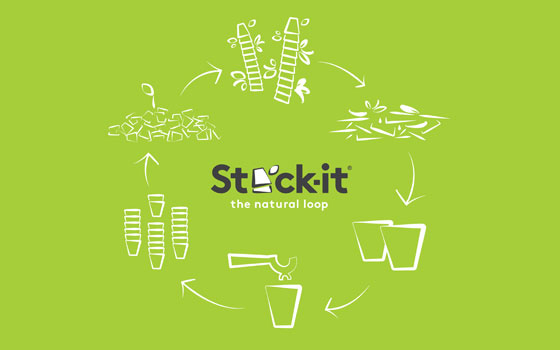 Stack-it takes a natural waste product as its basic material. That allows us to leave trees in peace. We source this residual material from cane sugar production, and use it as the raw material for our disposables. That makes them fully compostable, and results in a 100% closed natural cycle, with no loss of materials and with no concerns. After all, our total concept means we can ensure a high-quality product with an environmental impact reduced to the absolute minimum, from start to new start. In addition, by collecting the used cups separately from other waste, everyone can make a personal contribution to the creation of new basic material. It's a wonderful cycle, like a jewel in your CSR policy!